Lunch week continues with an easy, healthy recipe for tomato soup! I love tomato soup. I practically lived off of tomato soup when I was in college, although I use to eat the the very popular tomato soup from a can that we all grew up eating (you know the one!). Today, I like to shop for Organic BPA-free canned tomato soup or I make it myself. 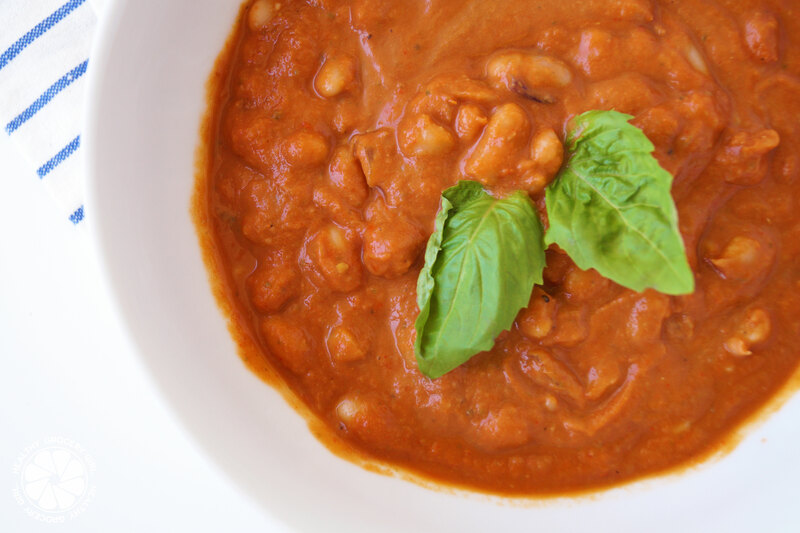 Today’s recipe is just that, homemade tomato soup but with some added ingredients such as white beans and basil to boost the protein, flavor and overall delicious experience. If you’re a tomato soup fan like me, let me know in the comments below! If you make this recipe and share a picture online, don’t forget to tag @HealthyGroceryGirl or use #HealthyGroceryGirl so I can like your photo! I love connecting you guys online! 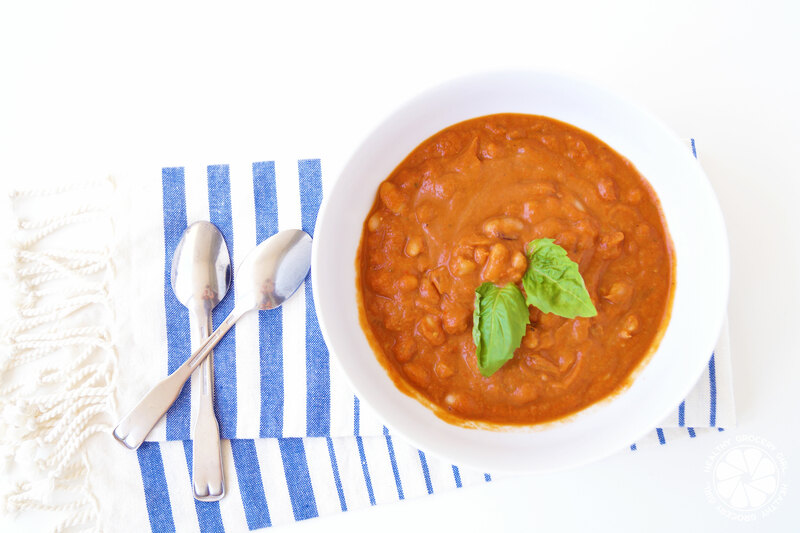 A classic tomato soup with a boost or protein from white beans!